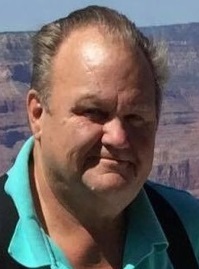 Barry “BGD” G. Diehl, 67, of Ancona, formerly of Streator passed away at 4:36 PM Monday (November 12, 2018) at his residence. A visitation will be held from 3-7 PM Friday at the Hagi & Baker Funeral Home and also from 9-10 AM Saturday at the funeral home. A Elks Ritual will be held at 6:30 PM Friday at the funeral home. Funeral services will be held at 10 AM Saturday at the funeral home. Rev. Rodney Kreier will officiate. Interment will be in Wolf Creek Cemetery with full military rites by the Streator Veterans of Foreign Wars Post 1492 and the Streator Leslie G. Woods American Legion Post 217. Pallbearers will be his nephews. He was born on August 26, 1951 in Aurora, IL to G. Alan & Betty (Tranter) Diehl. He married the former Cathy Schultz on January 1, 1972 in Naperville. He is survived by his wife; a son, William “Bill” Gene Diehl of Ancona; siblings: Cindy (John) Olszewski of Oswego, Karen (Jerry) Dietzman of Sandwich, Keith (Char) Diehl of Prescott, AZ, Kathy (Greg) Krasuski of Crossville, TN and Deb (Jim) McCary of Crossville, TN and numerous nieces and nephews. He was preceded in death by his parents and a sister, Betty Diehl Robinson. He graduated from Naperville High School and then served in the United States Army serving in Germany. He was the Manager at Morton Buildings for 47 plus years retiring in 2016. He was a member of the Streator Benevolent and Protective Order of Elks and a life member of the N.R.A. He and his wife traveled the country in their motorhome especially enjoying the Southwest. He liked to shoot guns and spending time with family and friends.